When you first install WordPress the Install Script lets you choose a user name and password. The default for the user name is “Admin” make sure you never use this as every hacker over 11 knows about it. What Makes A Random Password Safe? It must be no less than 8 characters in length. It must not contain effectively speculated data such as the start date, a telephone number, your companion’s name, the pet’s name, your child’s name, your FB or Twitter login name, and so on. It shouldn’t contain words found in the directory. It ought to contain extraordinary characters, for example, @#$%^& and/or numbers. It should use a variety of upper and lower case letters. Now once you have your second Administrator all set up and secure logout of your site and login with the second administrator details and Delete the original Admin details from the Install. This removes user one and means a potential hacker cannot attempt to scan your site for the id: 1 user name as it does not exist. This simple easy trick at the Install stage can save your WordPress website a whole lot of heartache. We Look after your Website, so you can look after your business. 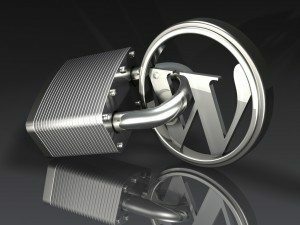 What would you do if your WordPress website was broken. An Update Issue, a Broken plugin, a 501 Error or Worse, you've been Hacked. How long will it take your business to recover? A few hours, A few days, A week? Don't Let it be Your Business. Our WordPress Support Service provides You with Peace of Mind.